My Great Grandma stood, hands on hips, staring out the sliding-glass door as the rain pelted the concrete. “What we need is a hurricane,” she said, her gray, cropped, curly hair making her look wise and crazy, which is exactly what I thought when I first heard her words. But that wasn’t even the crazy part. The insane part materialized a week or two later when a hurricane, or the beginnings of one, showed up on our doorstep. So, not to sound crazy myself, when I stood at the sliding-glass door a few weeks ago, the heat melting my brain, the humidity making it hotter, and said, “We need a hurricane,” I wasn’t that surprised when Isaac came rattling over our doorstep. Shuttered in my house in Miami, feeling restless in my cave, I watched the wind and rain scatter tree limbs and fill the pool with water and debris. I thanked the Great Spirit for letting us keep our electricity this time, remembering Wilma’s punishment and hoping everyone in Isaac’s path would stay safe. Then I returned to my childhood when tropical storms and hurricanes meant huddling in our house with our cousins and watching Martial Arts on TV until the electricity went out. We had never experienced anything too horrible or at least I didn’t remember much about it. I did, however, remember the one that had devastated Miami. 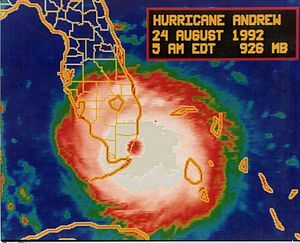 After my Great Grandma died, Hurricane Andrew left me in an apartment with no way out, fallen trees trapped me for days, a visiting New Yorker cried over a crushed car. I stood in long lines for water and volunteered to help people in shelters. I pulled down some containers with old photographs and cried when I saw her. She had been my best friend when I was little. I’d sit on the floor and play with her canister of buttons while she watched General Hospital. She told the best stories on our walks to Winn Dixie down the street from her house. She even took the time to tell me to try one of her cigarettes, which I’d been eyeing for quite a while. When I choked on the smoke, she said, “Won’t do that again will you?” Then she made me a sandwich, and we read a book together. Now, listening to Isaac’s rain as I sat in my house, in the dark, with man-made light keeping me up, I sifted through pictures, hoping something would trigger my memory, asking why she had said we needed a hurricane. I really didn’t want her to be crazy. But, I finally got tired and gave up, sliding all the pictures together and putting them away. I kept some out and found some frames but decided to save them for another rainy day project. Listening to the rain hit the shutters, I dosed off then my body jolted awake. I took a different perspective. My mind’s eye panned away from Great Grandma looking even more silly and loveable in her terry-cloth jumper. As she kept staring out the sliding-glass door, she glanced back at us: me, my mom, her mother, and my sister. We were busy fighting. We were also sweating. I couldn’t remember what the fight was even about, but my Great Grandmother’s glances were angry. She was sick of the heat, and she was even more sick of our fighting. Then I heard her explanation. “We need that hurricane to cool everyone off. You hear me? You all need a good storm to show you what really matters,” she grumbled, stomping off to her bedroom and lighting a cigarette. When the storm hit, we not only stopped fighting, we hugged each other. Huddled together in a bathroom, we worried about each other. We wondered who we could help, how could we help. 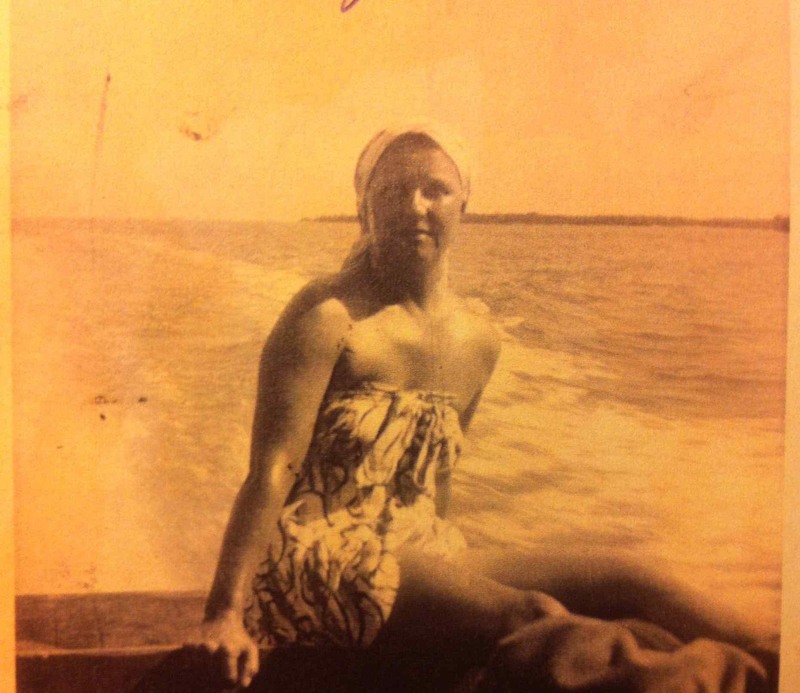 My Great Grandmother was wise and crazy, just crazy enough to know how a hurricane could stop fights. Thank you for the comment. Sometimes you wonder…truly appreciated. I really enjoyed reading that,brought memories back of my grandma I can’t even explain her she was great!